A Marcellus shale gas well in Washington County, Pa.
Methane leaks throughout the entire process of developing natural gas– from well sites, to storage and processing facilities and pipelines. Pennsylvania has joined a growing number of states in issuing new methane requirements for natural gas wells. 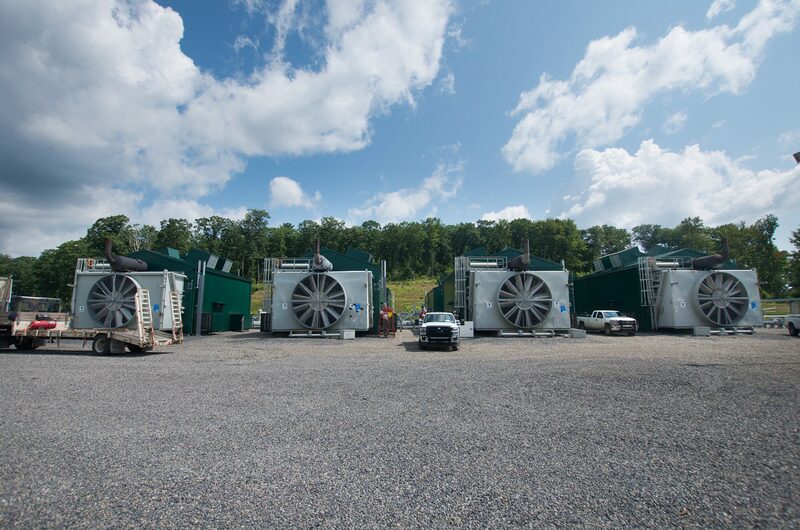 On Thursday, the Pennsylvania Department of Environmental Protection said it has finalized permits for new natural gas wells and processing facilities. “We are uniquely positioned to be a national leader in addressing climate change while supporting and ensuring responsible energy development, while protecting public health and our environment,” Gov. Tom Wolf said in a news release. Pennsylvania joins states like Ohio and Colorado, which already have methane requirements for the oil and gas industry. Methane is a powerful greenhouse gas, and is the main component of natural gas. The oil and gas industry is the largest source of methane in the U.S. The permits apply to new and modified wells and related compressor stations. The number of new wells drilled in Pennsylvania fluctuates every year, but is generally between 500 and 1,000. DEP records show the gas industry drilled 809 unconventional gas wells in 2017. Wolf has said he will issue rules for the state’s 11,000 existing Marcellus shale gas wells, but hasn’t proposed any yet. The permits for new wells will mandate companies do more frequent leak detection and repair at well pads than currently required by state or federal law, and allow the DEP to penalize companies that don’t comply. “That’s why it’s critical the state is taking the lead on controlling methane pollution,” said Robert Routh, staff attorney at Clean Air Council, who praised Wolf for finalizing the new permits. Leann Leiter of the environmental group Earthworks said the permits will help control not only methane, but other hazardous air pollutants, like benzene, a known carcinogen, which can be released alongside methane at a leaky well. “We certainly are going to be impacted and are being impacted by global climate change, but I think it’s really key to realize that these permits are (going to be good) for Pennsylvanians,” Leiter said. Leiter said the state needs similar rules that govern the state’s existing shale wells. “Those are emitting significant amounts of pollution on a daily basis and so we need those sources to be regulated in a similar way,” Leiter said. The question of how much methane and other pollutants is escaping oil and gas wells has been hotly pursued by scientists in recent years. According to the United Nations Intergovernmental Panel on Climate Change, methane is up to 86 times more potent at trapping heat in the atmosphere than carbon dioxide over a 20-year period. 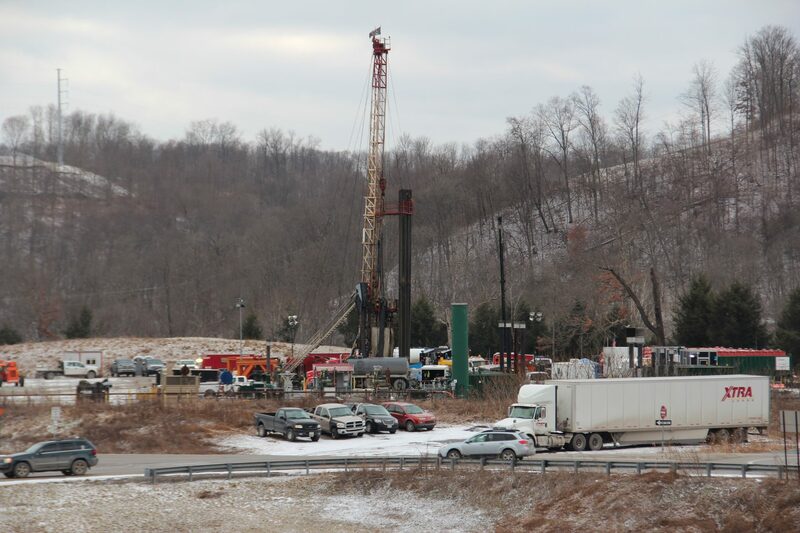 The DEP’s most recent data shows overall methane emissions from Pennsylvania’s shale gas industry is rising, while other air pollutants from the industry are falling. Scientists at the Environmental Defense Fund recently calculated that Pennsylvania’s Marcellus shale industry is emitting twice as much methane as companies are reporting. In a statement, Marcellus Shale Coalition President Dave Spigelmyer said the gas industry is working to keep leaks of methane to a minimum. “Despite this positive and continued progress, we remain concerned about imposing additional requirements through operating permits, particularly those that exceed DEP’s statutory authority,” the statement said. The group did not immediately respond to questions about whether it would sue to block the new permits. Correction: A line in this story has been corrected to refer to permits for new wells.